A NSW Upper House inquiry has pinpointed that the dairy industry needs immediate help to end the cost pressures driving many dairyfarmers to the wall. The inquiry found a retail price of $1 per litre for drinking milk had hurt the industry, there was a power imbalance between farmers and processors and the farm-gate price for raw milk did not allow a reasonable profit margin, and urged the appointment of a Dairy Commissioner. Dairy Connect CEO Shaughn Morgan said that the advocacy body welcomed the findings and 10 recommendations. Five dairy processors, including WA’s three major milk processors, have agreed to change supply contract terms deemed unfair to farmers. Brownes Food Operations, Lion Dairy and Drinks (LDD) and Harvey Fresh owner Parmalat Australia, together with Norco Co-operative Ltd and Fonterra Australia, have each agreed to amend specific terms in their milk supply agreements. The Australian Competition and Consumer Commission (ACCC) announced early last week that the processors had agreed to address concerns some supply contract terms did not comply with the business-to-business unfair contract terms law introduced by the federal government just over two years ago. Dairy Connect CEO Shaughn Morgan said that the advocacy body welcomed the 4 findings and 10 recommendations released this week from the NSW Upper House Inquiry into the sustainability of the State’s dairy industry. The Government and Opposition must commit to their full implementation to ensure that the sustainability of the NSW dairy industry is assured. With a State election in March 2019, Dairy Connect will be seeking commitments for the implementation of the recommendations prior to the State election. $1.8 million in funds collected from the Woolworths Drought Relief range has flowed through to 289 dairy farms in eastern Australia over the past few months. Woolworths was the sole supermarket retailer to impose a levy on a select range of milk products; ten cents a litre was added to a limited range of two and three litre milks. Dairy Connect CEO Shaughn Morgan, who was a member of the independent drought relief committee that oversaw the distribution of the funds, said he received positive feedback from the industry, but more needed to be accomplished. Australia’s $2 million milk price index is a flop, with just 38 farmers lodging their details on the site since it was launched in July. The index has been plagued with problems since the federal Coalition Government promised to deliver it as part of a $579 million dairy support package in May 2016. Dairy Connect president Graham Forbes said it was a tragedy Webber was not able to develop the index. “What we’ve got now is useless,” Mr Forbes said. The Regional, Retrospective Farmgate Milk Price Index relies on farmers providing price data via an online form to give a picture of actual prices received in each of Australia’s eight dairy regions. CEO Shaughn Morgan has spoken on Queensland Radio in a conversation that poses confronting challenges to the industry should our regulatory and government bodies introduce and enforce a Mandatory Code of Conduct. Graham Forbes has appeared on NSW Country hour to talk with Michael Condon about the latest Upper House Committee Hearings into sustainability in the dairy industry and call out the lack of processor engagement in the inquiry. “We’re not asking for anything to make millions of dollars - what we’re asking for is just something that is fair.” These are thoughts of Taree Collective Bargaining Group chairman and local dairy farmer Tim Bale following a NSW parliamentary inquiry into the sustainability of the dairy industry, held in Taree on Monday, November 19. A global science based framework outlining labelling terms in the dairy industry is being developed by the International Dairy Federation. It’s aiming to define the benefits of dairy based products, compared with those from plants. Rural reporter Eddie Summerfield caught up Dairy Connect Chairman George Davey. Australia’s dairy industry has been warned it runs the risk of derailing the introduction of a mandatory code of conduct between farmers and processors, amid growing calls for it to cover supermarkets. Some farm leaders and processors, including the nat­ional peak body Australian Dairy Farmers, called for the mandatory dairy code to be ­extended to supermarkets at a meeting with federal Opposition agriculture spokesman Joel Fitzgibbon this month. But NSW Dairy Connect and Victoria’s Farmer Power lobby, who attended the meeting, opposed the move and claimed it was an ADF delaying tactic given the retail giants were already covered by the Food and Grocery Code of Conduct policed by the Australian Competition and Consumer Commission. Calls on consumers to help farmers by buying $1.50-a-litre branded milk have been debunked by Australia’s competition watchdog. Just last week Federal Agriculture Minister David Littleproud called on shoppers to shun supermarkets’ $1-a-litre house brands and buy processor-owned brands for $1.50-alitre instead. But the Australian Competition and Consumer Commission’s inquiry into the dairy industry found processors were paying dairy farmers the same for milk, whether it went into supermarket house-branded bottles or their own $1.50-a-litre brands. Dairy Connect chief executive Shaughn Morgan said the reality was processors were not passing higher margins on branded milk back to farmers. Milk market scrutiny is intensifying with the NSW parliament poised to start an inquiry into the sustainability of the state’s dairy industry. Advocacy group Dairy Connect’s chief executive officer, Shaughn Morgan, said the NSW and Queensland industries were caught in a vulnerable edge with little large-scale production of cheese and other dairy lines unlike the wider market options in southern states. He urged the parliamentary inquiry to question whether the NSW government could bring back a milk marketing board or a dairy commissioner with strong powers of persuasion or industry oversight. The federal Nationals have managed to bring their Liberal colleagues on board in support of a mandatory code of conduct to improve contracting practices between dairy farmers and their processors. Key industry sources said members of the Prime Minister’s Office and Treasury had initially been reluctant to support the code, leading to concerns its development may be delayed until after the next federal election. The motion was moved by Victorian Senator Derryn Hinch, who acknowledged the efforts of the Victorian Farmer Power and NSW Dairy Connect lobby groups in advocating “strongly on behalf of dairy farmers and made sure we in the parliament are aware of all the issues facing regional Australia”. Soy milk, vegan “honey” and plant-based “mince” may not be able to use those names for much longer as Australia’s food labelling standards come under the microscope. Australian and New Zealand ministers have unanimously backed a review of existing labelling regulations as more and more “fake foods” enter the market, Nationals deputy leader Bridget McKenzie said. Lobby group Dairy Connect has been pushing for a review of the standards to remove exceptions that allow “milk” to be used on soy and nut products. The Grains & Legumes Nutrition Council analysed more than 100 plant-based milk products – including almond, coconut, grain and soy milks – and found about one-third of products do not list calcium. Dairy advocacy group Dairy Connect chief Shaughn Morgan suggested these products could be labelled as “almond juice” or “almond water” to help consumers recognise it as a separate product. Dairy Connect says Woolworths decision to have a range of milk specifically to help drought-affected dairy farmers is a great first step. CEO Shaughn Morgan is behind Woolworth's idea and how they're implementing it, however the same cannot be said for Coles who have jumped on the bandwagon but have a slightly different way of implementing it. Advocacy group Dairy Connect has welcomed Woolworths’ announcement that it will sell a newly-created fresh milk brand with part of the consumer price going to drought-burdened dairy farmers. The supermarket chain’s home-brand three-litre milk will increase by 30 cents immediately. Pressure is mounting on other supermarkets to show more support for drought-weathered dairy farmers after Woolworths and Coles effectively acknowledged soaring farm input costs, lifting their private label milk prices. Shaughn Morgan from NSW lobby group Dairy Connect said "exclusivity of supply, collective bargaining, mediation and arbitration" were the key things that need to be addressed. Fonterra Australia and Saputo Dairy Australia have different views on whether a voluntary or mandatory code of conduct is the best way forward for the dairy industry. Australia's largest dairy co-operative, Norco, will lift the price paid to its farmers by five cents a litre. Paul Weir, from Tuncester near Lismore, said the price increase was a good start. "For me here on the north coast, it's grain prices and irrigation that's lifted our feed costs considerably — this is going to go two-thirds of the way to actually cover that grain price deficit that we have everyday," he said. Federal Agriculture Minister David Littleproud has thrown his weight behind calls for a 10-cent levy to be applied to fresh milk sold at supermarkets, to be returned to dairy farmers. ...Graham Forbes, president of the New South Wales dairy lobby Dairy Connect, said it could translate to a de facto floor price. "It's going to be somewhat of a complex system but they may be able to simplify it and result in a permanent basic milk price in the longer term," he said. PROCESSORS AND SUPERMARKETS LYING LOW AND SHIFTING BLAME. RETAIL PRICE FOR DAIRY PRODUCTS NEED TO BE RAISED NOW. Federal Government changes to visa regulations have left some farmers campaigning for longer placement opportunities and pathways for permanent residency. Finley, NSW farmer Ruth Kydd, who backed Dairy Connect’s concerns last year about the sudden cancellation of the skilled 457 Visa foreign worker program, says she’s still having trouble with the system, although there are some positive developments. A growing number of animal-free products are attempting to cash in on the “real McCoy” by using similar names such as mylk, honee and chick’n. But their claim to the names in question is increasingly being disputed by farmers fed up with “misleading” impersonations cashing in on the long-held popularity of their produce, be it milk, chicken or honey. NSW Country Hour today had Dairy Connect Farmers Group Member, Vanessa Todd, discussing the current issues confronting the dairy industry (with 2 other dairy farmers) including processors and their role in $1 a litre milk. You can hear the report from 33:00 mins until 40:50. This is followed by a report about the benefits of milking buffalos and thereafter, our Chairman, George Davey AM is interviewed in relation to plant based flavoured water & his involvement in the International Dairy Federation Committee. This report commences at 44:45 and concludes at 46:50. 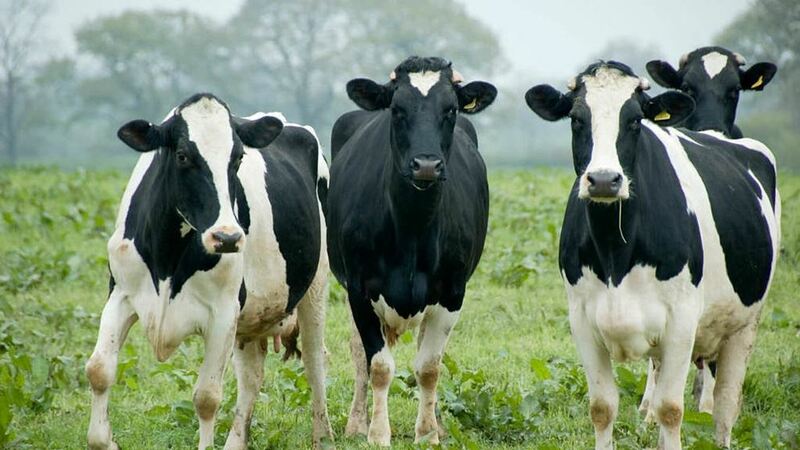 Australia had fallen behind the US, the EU, Canada, Norway, Iceland and New Zealand in regulating the use of dairy terms, according to national advocacy group Dairy Connect today. CEO Shaughn Morgan said consumers have the right to know clearly when they are not buying real dairy products. Tony Biffin’s family has called their dairy farm home for more than 100 years, weathering the elements for two milkings a day since 1912. Now, with draining water and dwindling finances, the one thing Tony says he needs to survive is a “decent” price for his milk. “Currently, processors can impose milk prices and other terms of milk supply contract terms that are heavily weighted in their favour. Some milk supply contracts also contain terms that restrict farmers’ ability to change processors for a better offer,” NSW lobby group Dairy Connect CEO Shaughan Morgan said. Manufacturers of plant-based milk alternatives sold in the United States may soon have to stop using the term 'milk' to describe their products. New South Wales lobby group Dairy Connect has been pushing for the Australian Government to enforce its own regulations on what is milk. Fonterra Australia and Saputo Dairy Australia have different views on whether a voluntary or mandatory code of conduct is the best way forward for the dairy industry. Dairy Connect chief executive Shaughn Morgan welcomed Mr Saputo’s views and hoped other processors would follow suit. Soy and almond drinks that bill themselves as "milk" may need to consider alternative language after a top US regulator suggested the agency may start cracking down on use of the term.The Food and Drug Administration signalled plans to start enforcing a federal standard that defines "milk" as coming from the "milking of one or more healthy cows". The Federal Government launched their Milk Price Index in a bid to help producers monitor milk price trends so to better understand market developing signals. How much will this help dairy farmers in reality? Well, Shaughn Morgan the CEO of Dairy Connect shares his thoughts. Director Ian Lean has talked with Kim Honan on the NSW Country hour in response to "naive" comments made by David Becker of Dairy Business Consulting. Segment begins at 46:05. The new national Milk Price Index is ‘half-baked’, because it provides only a snapshot of dairy farm production data and not analysis of the farm-gate impact of the costs of processing. This was the view today of Dairy Connect CEO Shaughn Morgan. The index is designed to allow farmers to monitor milk price trends so to better understand market developing signals. The decision by southern milk processors to err on the side of caution with their opening milk farmgate prices has been criticised by producers as an unwillingness to take any risk in order to move the dairy game in Australia forward. Australia’s largest milk processor Saputo’s $5.75 per kilogram milk solids, Fonterra’s $5.85 and Lion’s $5.82 have come in under analyst forecasts of $5.90 for the 2018/19 season based on improving global market dynamics. NSW producer Graham Forbes, from advocacy body Dairy Connect, said those global dynamics provided an opportunity for processors to take some initiative in moving the industry forward by lifting prices enough to regain farmer confidence and investment. With grain prices rising and milk prices falling, Terara dairy farmer Tim Cochrane is feeling the effects of the drought. A big drop in the Australian grain harvest last year and fears for this year's winter crop have fuelled the domestic grain price hike. “The conserved feed on the coast here is quite low compared to what it normally is. Last summer and the summer before were very dry and there was very little stored feed." Mr Cochrane said. Have dairy cows, will travel. That’s been the mantra for the Kath family who have slowly made it south from Toowoomba, gradually building up their dairy herd while sharefarming. As just a glimmer of hope emerges for dairy farmers that milk and solid prices might rise, the Kaths have struck out a future for dairying in a non-traditional area of central-west NSW. While a majority of State-based dairy advocates strongly back an ACCC recommendation for a mandatory code of conduct for the dairy industry, the Australian Dairy Industry Council has turned its back on recommendations following an 18-month independent probe by the ACCC, according to a leading dairy advocate. 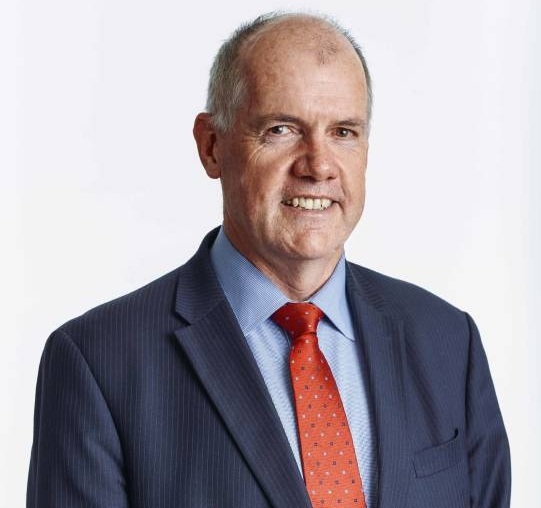 Dairy Connect Acting Farmers Group President Adrian Drury today described a proposed new Australian Dairy Industry Council ‘review’ – after a Government initiated 18-month Australian Competition and Consumer Commission review – as a ‘waste of time, resources and energy’. To celebrate World Milk Day on June 1, NSW Waratah's player Will Miller has joined Jessica Rouse to talk all things dairy on her Radio 2NM show. 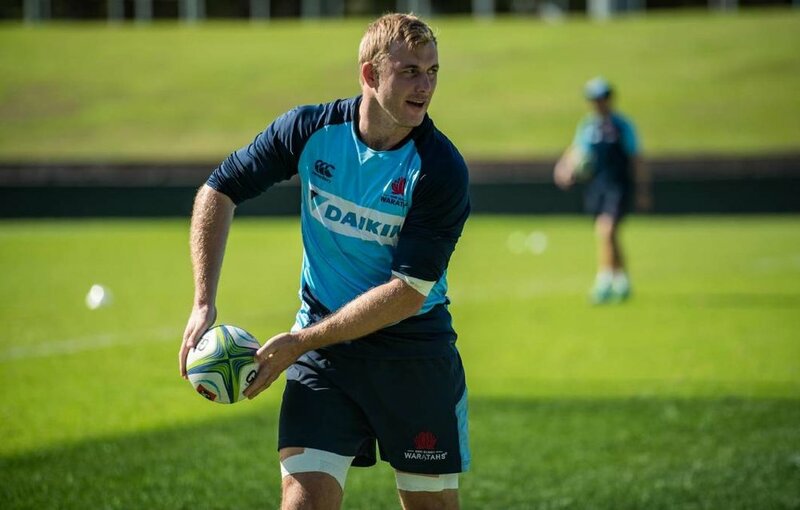 NSW Waratahs blindside flanker Will Miller marked World Milk Day this year by becoming a full cream ambassador for advocacy group Dairy Connect. 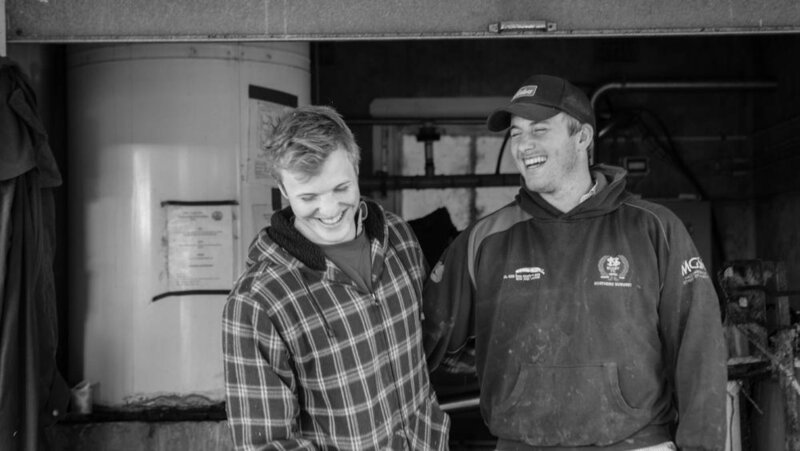 The 25-year-old rising star is from a seventh-generation farming family which has lived and farmed at beautiful Berry on the South Coast since 1915. Blatant use of the word milk to market plant-based products in Australia has been a red rag to many in the dairy industry, notably industry lobby group Dairy Connect.Chief executive officer, Shaughn Morgan, is hoping milk’s value as a cost effective, genuinely healthy product attracts some well deserved publicity on World Milk Day (June 1). Australia's joint dairy farmer and processor lobby group, the Australian Dairy Industry Council, has launched a review into its 12-month-old voluntary code of conduct, despite calls for it to be replaced with a legally-binding mandatory code. Rival dairy advocacy group Dairy Connect branded the review a “waste of time and resources”. “The voluntary industry code currently operating has been an abject failure. It has died and should be put to rest,” Dairy Connect acting president Adrian Drury said. The future of dairy is in our hands, although recent news makes me question this statement. I have read, with great concern, the lack of national dairy leadership being demonstrated by those in elected positions. Why is this so? There is no easy answer to this question, but rather many years of systemic institutional decay. Australia's largest livestock lobby groups are refusing to adopt reforms that would deliver greater competition and transparency to farmers. ...NSW Dairy Connect president Graham Forbes said the voluntary code was weak and farmers were being ignored. “Even those (processors) who signed up to it aren’t abiding by it,” Mr Forbes said. Farmers' Group President Graham Forbes talked with Gareth Parker of Radio 6PR about the recent movements in milk labelling both domestically and abroad. Dairy farmers are angry about the Australian Competition and Consumer Commission's decision not to take any action on dollar-a-litre milk. 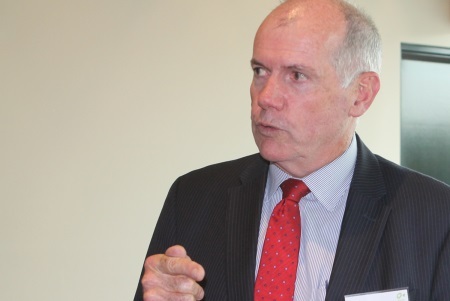 According to ABC Online, ACCC agricultural commissioner Mick Keogh, in his final report on the issue, said there was no evidence that supermarkets were trying to manipulate the farm gate price by selling cheap milk. "We understand that farmers are incensed because it devalues the work they do and the value of their product, but aside from that we think it is a bit of a distraction in terms of what's happening in the industry more generally," Mr Keogh said. Mr Keogh said he wanted action on a mandatory code of conduct in the dairy industry, despite processors preferring to develop a voluntary code. He said it would reduce the power imbalance between farmers and processors and help to "change the culture of behaviour". Dairy processors say a voluntary code with an independent mediator is all that is required to safeguard farmer's interests. That is not enough for New South Wales dairy lobby group Dairy Connect, however. It's not $1 per litre milk hurting Australian farmers so much as trying to deal with powerful large-scale processors, a report by the competition watchdog has found. ...Additionally, Dairy Connect President Graham Forbes, a Norco supplier from Barrington, said the Federal Government should implement a mandatory code. "I think most of the organisations that represent dairy farmers throughout Australia are in support of a mandatory code," he said. "We need stronger arrangements between farmers and processors to correct the imbalance of power." Canadian dairy processor Saputo has a unique opportunity to play a pivotal role in reforming the Australian dairy industry following its pending takeover of Murray Goulburn, according to a key industry group. Dairy Connect CEO Shaughn Morgan believes there is need for change particularly in introducing transparency and fairness to contracts between farmers and processors. Australian dairy companies should not assume that Chinese consumers will always show a preference for imported Australian and New Zealand milk, according to Credit Suisse’s Chinese consumer research chief Charlie Chen. Mr Chen said Chinese consumers had recovered from their aversion to locally produced milk following the 2008 melamine contamination scandal, and now regarded most local dairy products as safe. Less than six months into the job, the Norco co-operative’s new chief executive officer has inexplicably left the business. Ben White’s resignation from the NSW-Queensland dairy and farm services business on Monday is the second sudden departure from the role, with Brett Kelly leaving in late September after almost 10 years at the helm. Mr White’s unforeseen exit has added to an already frustrated and uneasy mood within the dairy sector in northern NSW and southern Queensland. Dairy Connect’s Mr Forbes, whose family milks more than 700 cows at Gloucester on the NSW Mid North Coast, said many farmers believed Mr White was keen to modernise the co-op’s culture and infrastructure so it could compete head to head with the multinational corporates now dominating Australia’s dairy industry. Upper Hunter dairy farmers are feeling the pinch not only because of little decent rain. Dairy Connect is an advocacy body for the fairy farmer industry in the Hunter and throughout NSW and they're calling for a better and fairer way forward when it comes to the relationship between dairy farmers, processors and the retailers. Farm gate price is proving a challenge for many local farmers and Dairy Connect CEO Shaughn Morgan said there needs to be a more focussed way forward. After more than 100 years on the land, the Gee family is walking off its Hunter Valley dairy farm at Jerrys Plains, blaming low milk prices and rising costs. Three generations are employed in the family business, including grandparents Colin and Rita, their sons Paul and Shane, and their four granddaughters. "I thought I would have had kids, they would grow up and maybe take over the farm, but yeah, it's not going that way," 23-year-old Samantha Gee said. "It's really sad. It's absolutely devastating to be honest." President of the Farmers' Group, Graham Forbes, has appeared on 2GB national rural news to discuss the ongoing drought conditions across NSW and how dairy farmers are being severely affected. The advocacy group that represents dairy farmers across NSW is “extremely concerned” about the mental health of Hunter producers battling a drought that started almost a year ago. Dairy Connect CEO Shaughn Morgan said farmers and their families should “reach out for help” from friends, neighbours or health service providers if they think the situation is getting on top of them. "The merciless drought that has sucked the life out of farms in the NSW Upper Hunter across a large swathe of farmland in three states was battering the normally optimistic outlook of primary producers in important farming regions. This is the message from advocacy group Dairy Connect Farmers Group president and Gloucester farmer Graham Forbes who called on the NSW Department of Primary Industries and other relevant State bodies to be conscious of the psychological toll drought was having on our farmers..."
Responding to the Australian Competition and Consumer Commission’s (ACCC) interim dairy industry review, advocacy group Dairy Connect has called for simplified, single document contracts between dairy processors and producers. SYDNEY - Australian beef and dairy farmers are facing a growing threat from the emerging global taste for "substitute" meat and milk products which are often derived from plants and nuts rather than animals. A group which represents the dairy industry, Dairy Connect, has been running a campaign for "truth in labelling" targeting non-dairy products made from soy, cashew, almond, oat, hemp, rice and coconut extracts. It wants these products to be barred from using labels such as milk, cheese, yoghurt or cream.